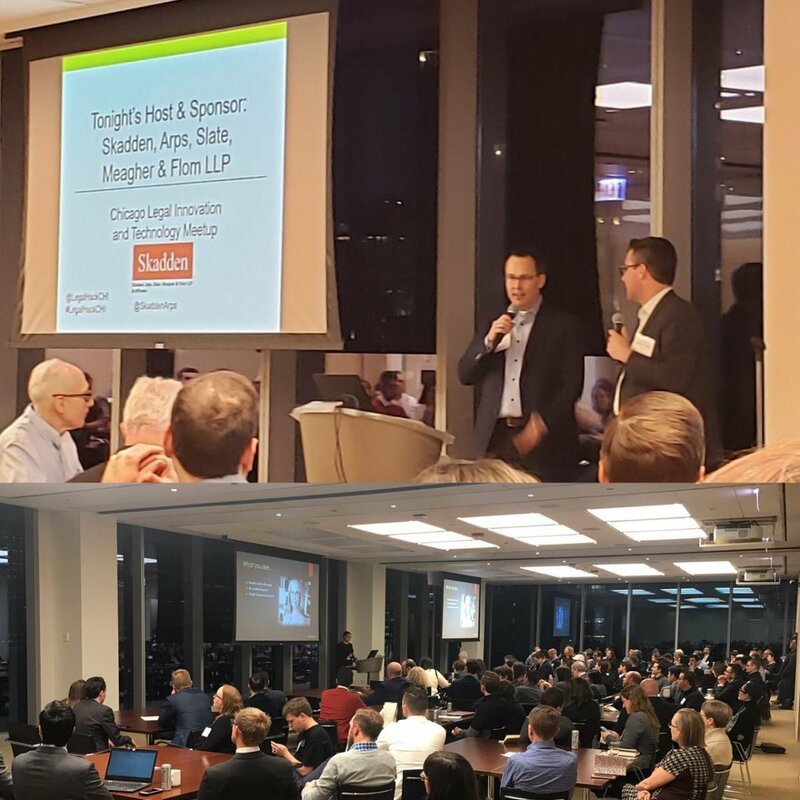 Full house last night for Chicago Legal Innovation and Technology Meetup at Skadden during ABATechShow Week here in Chicago. 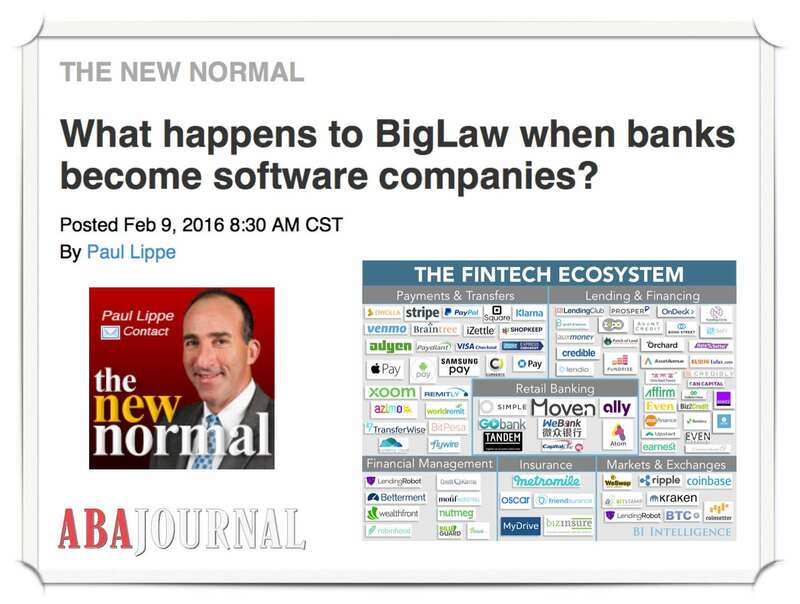 Both Dan Linna and yours truly (Dan Katz) thank you for attending. 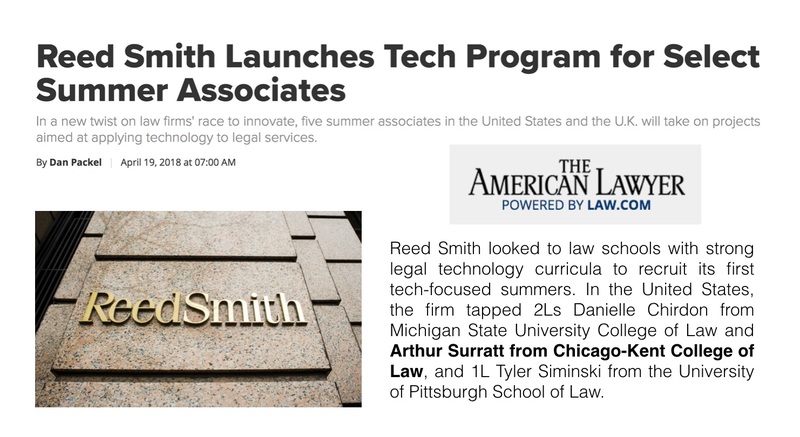 Thanks to our host Kim deBeers from Skadden for having us ! 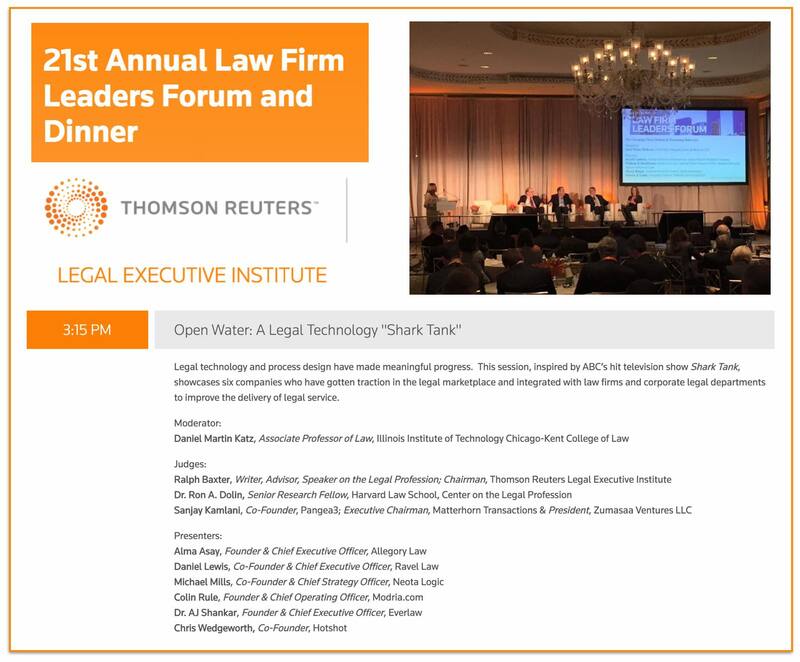 This past Thursday Ron Dolin and I spole on a panel at the 19th Annual Thomson Reuters Legal Executive Institute Law Firm Leaders Forum. Above are Ron’s slides which many of you might find interesting. 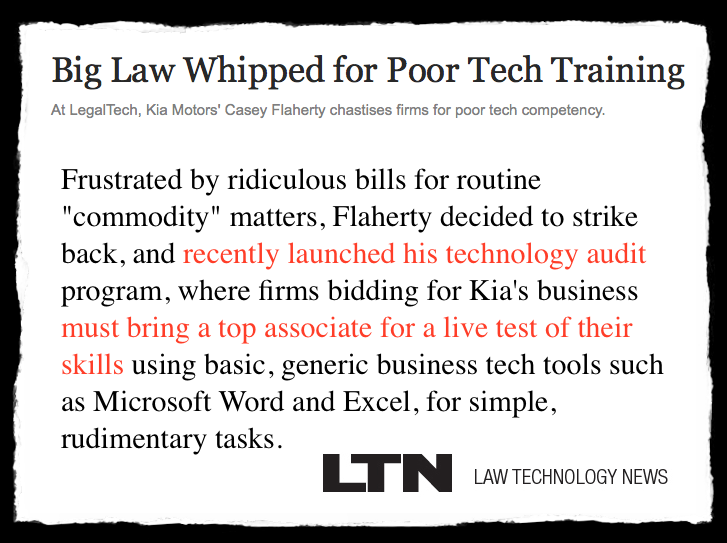 Below is a modified version of my presentation Five Observations Regarding Technology and the Legal Industry (which I gave at the LegalWeek Corporate Counsel Forum last month). 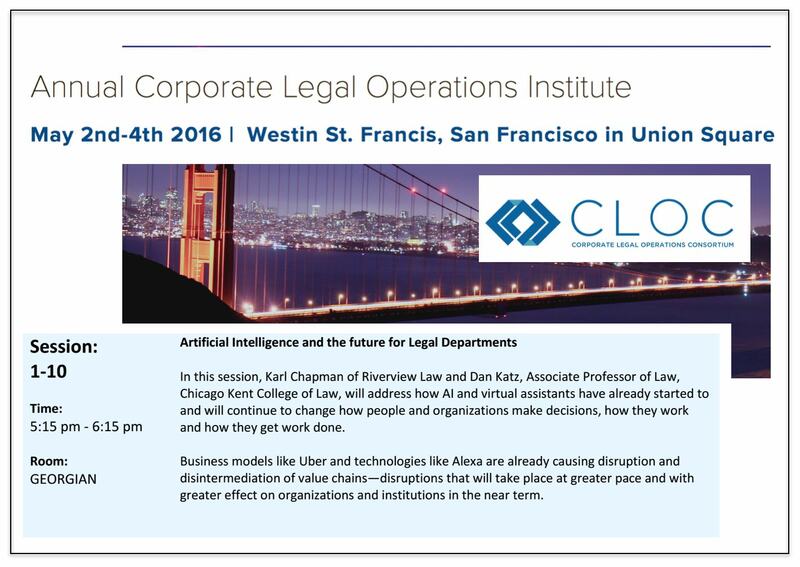 Thanks to Ralph Baxter (Chairman Emeritus @ Orrick) for inviting me to present to this extremely accomplished group of AMLaw 200 managing partners. 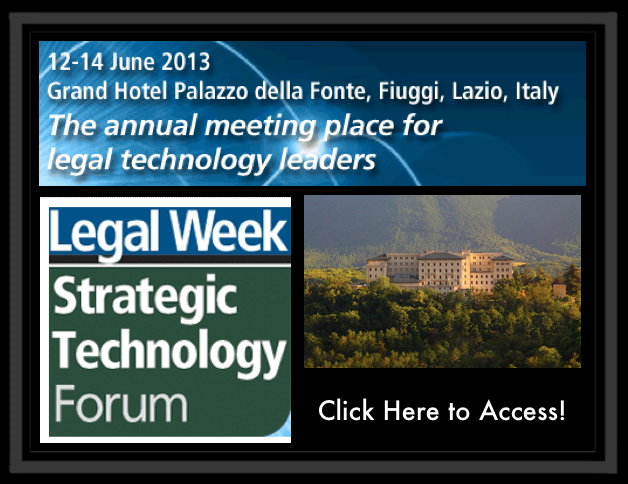 Today I have the pleasure of serving as the Keynote Speaker at LegalWeek Strategic Technology Forum at the Grand Hotel Palazzo della Fonte just outside of Rome. 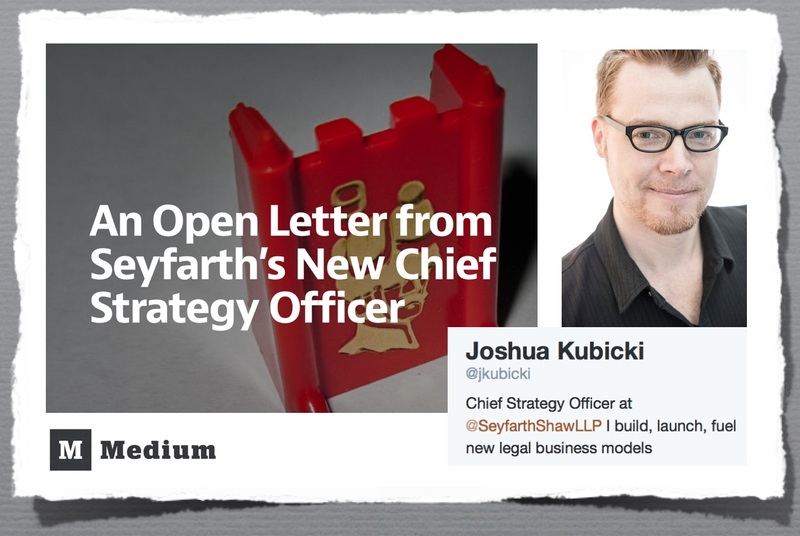 This is a very intimate gathering of the managing partners and/or chief technology officers of the some of the world’s largest law firms. 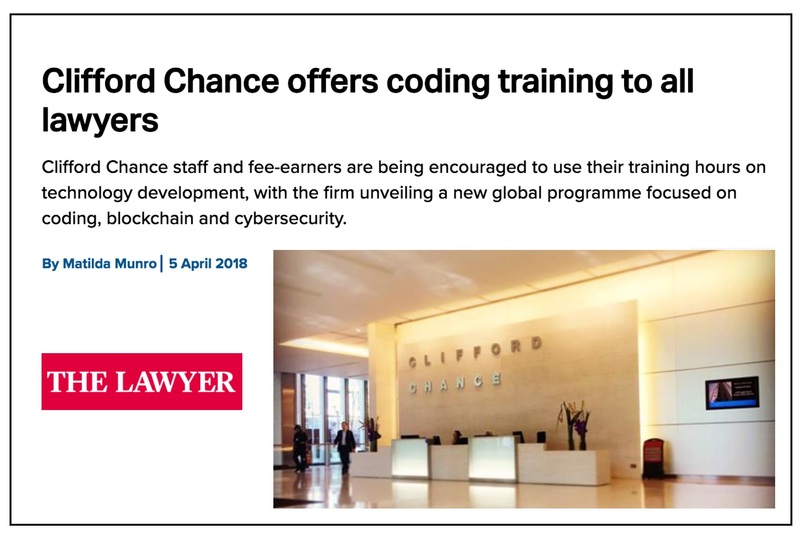 Participating law firms include but are not limited to: Allen & Overy, Linklaters, Freshfields Bruckhaus Deringer, Hogan Lovells, Ashurst, Berrymans Lace Mawer, Berwin Leighton Paisner, Bird & Bird, Irwin Mitchell, Charles Russell, Herbert Smith Freehills, RPC, DAC Beachcroft, AKD, DWF, Lewis Silkin, Nabarro, SJ Berwin, Taylor Wessing, Trowers & Hamlins, Mayer Brown, Al Tamimi & Company, Thrings, CMS Derks Star Busmann, CMS Hasche Sigle, Cuatrecasas, Gonçalves Pereira, Fidal, Kromann Reumert, Latham & Watkins, Leigh Day & Co, Osborne Clarke, Perkins Coie, Pinsent Masons, Riverview Law, Skadden, Arps, Slate, Meagher & Flom.